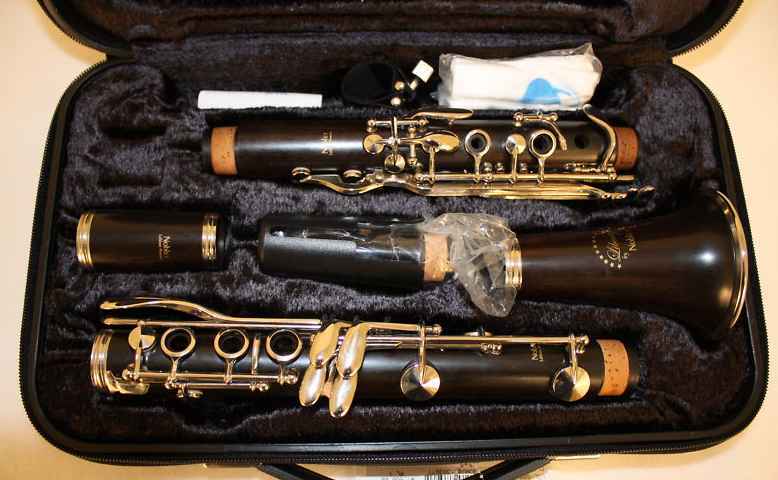 8s and 10s I have discerned very little tonal qualities differences. times; so little could be learned. differences until they were later stamped Special, 4, etc. 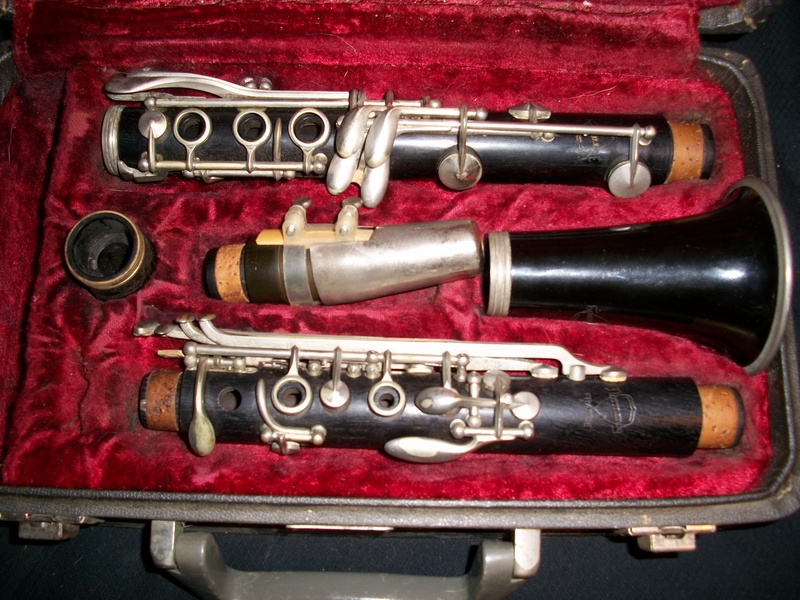 Normandy 5 had inline trill keys and a plastic barrel and bell. at the very top of the top joint. 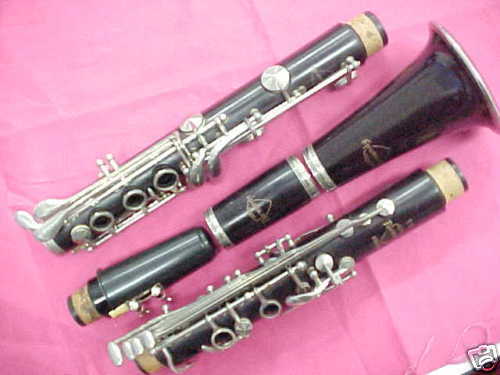 very similar to the Noblet instruments of the day. 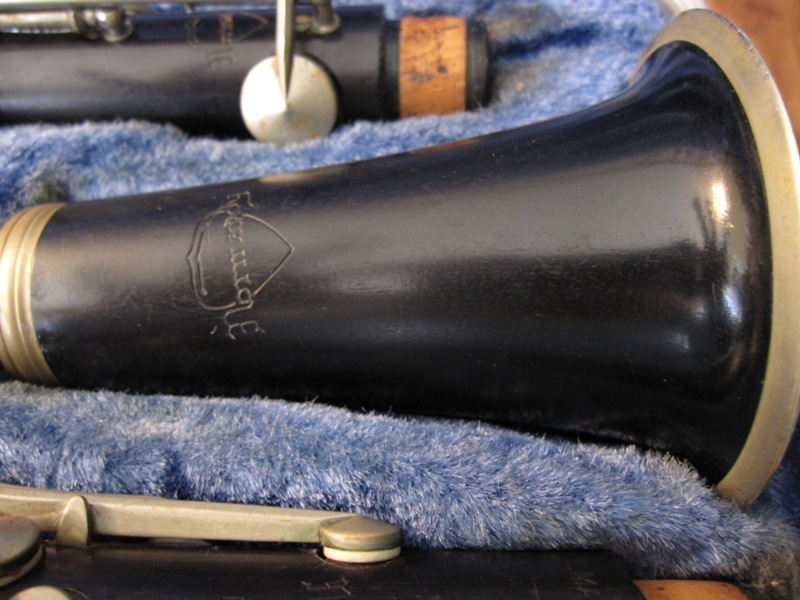 the joints, barrel, and bell. 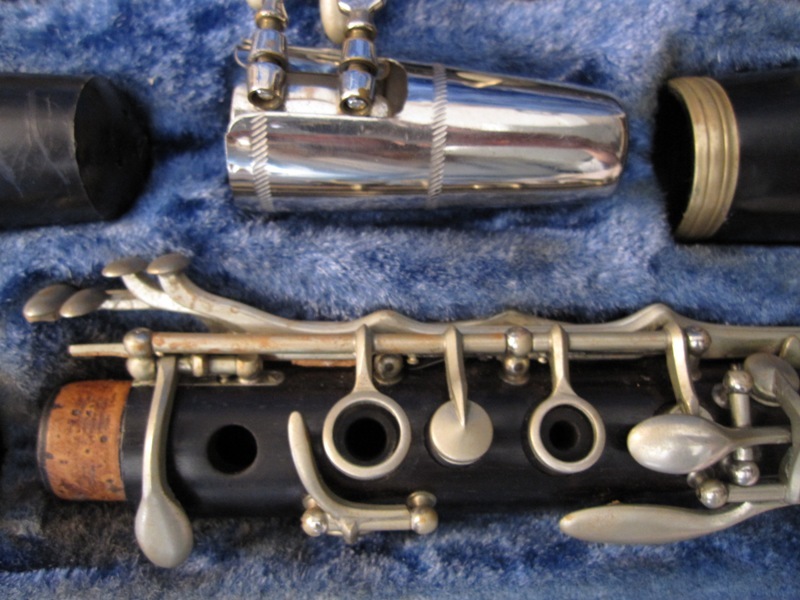 with angled, Buffet-style trill keys, mounted on three sets of posts. equipped with inline trill keys. 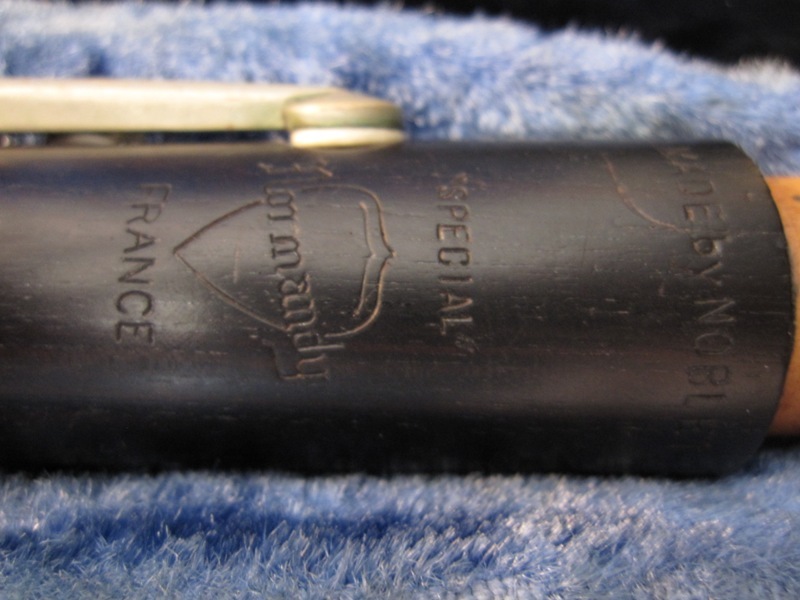 Special was equipped with a composite bell. 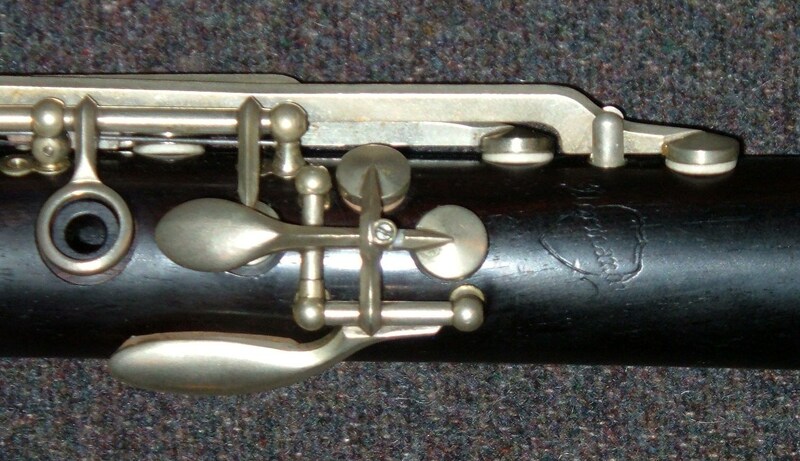 the top of the upper joint. 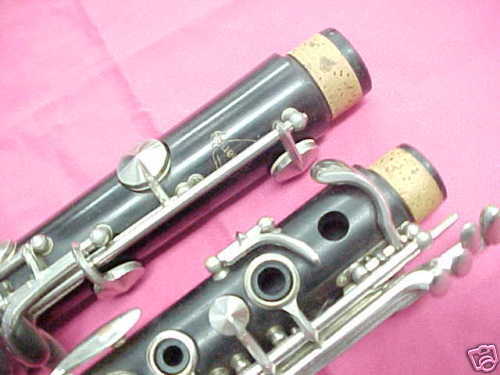 with silver-plated keywork have also been reported. 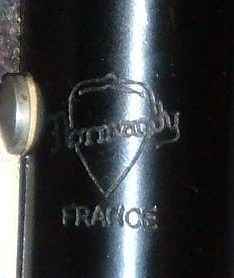 logo at the top of the upper joint. 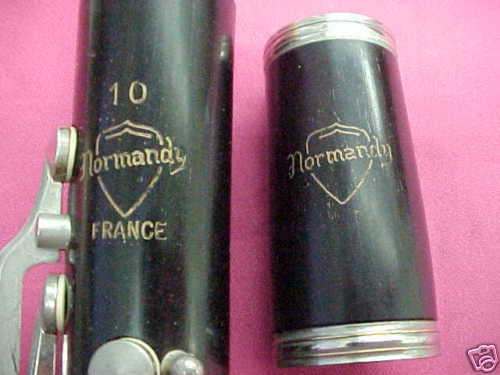 Normandy shield with serifed “N” and “y” was used on this model. throat G# and A keys. at the top of the upper joint. 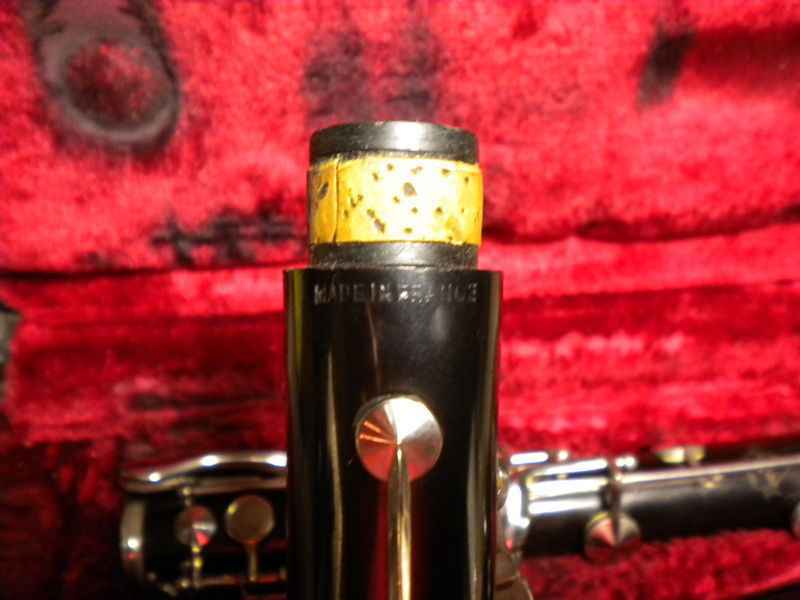 point of being very close to that of the Noblet. and the word FRANCE underneath the shield was used on these models. 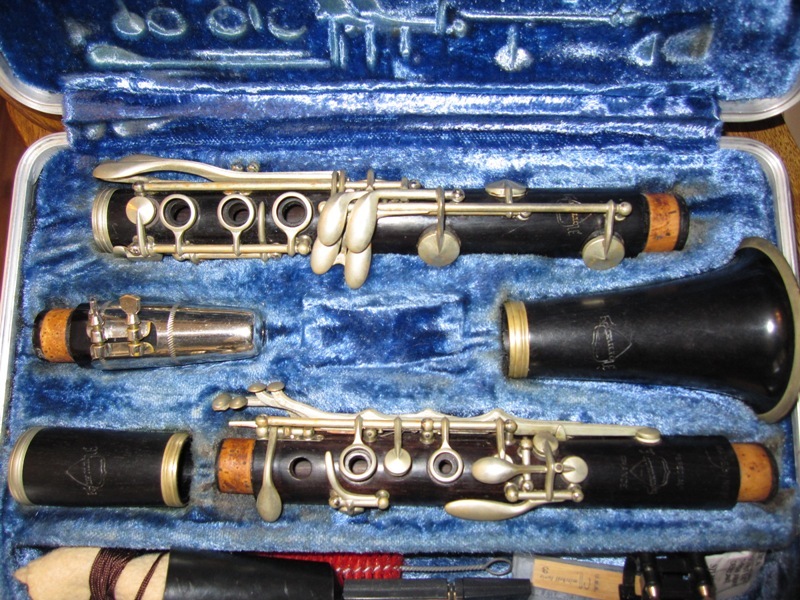 Buffet-style trill keys mounted on three sets of posts. wooden. The keywork was nickel-plated. shows the 5P, now upgraded with a wooden bell, offered at $200.00 list. 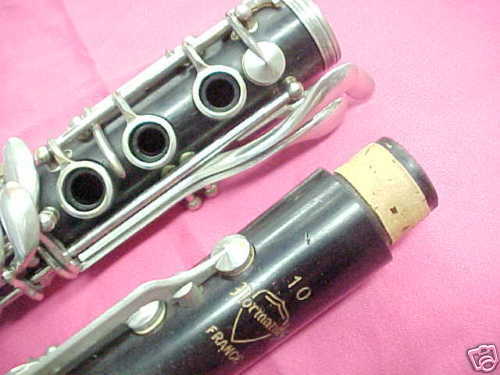 By 1964, the Model 5P had been replaced by the Model 10P. sets of posts as seen on the Original and Transitional models. 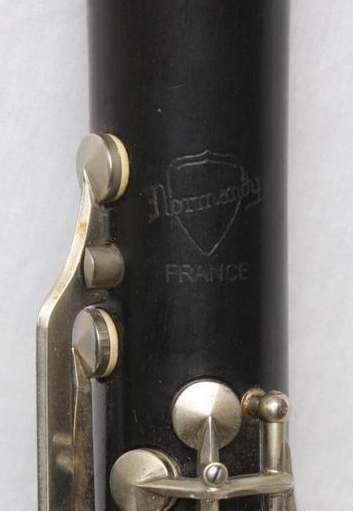 14P keywork was identical to the Normandy France Reso-Tone. 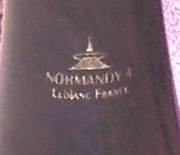 Normandy logo as used on the USA-made Normandy 14. 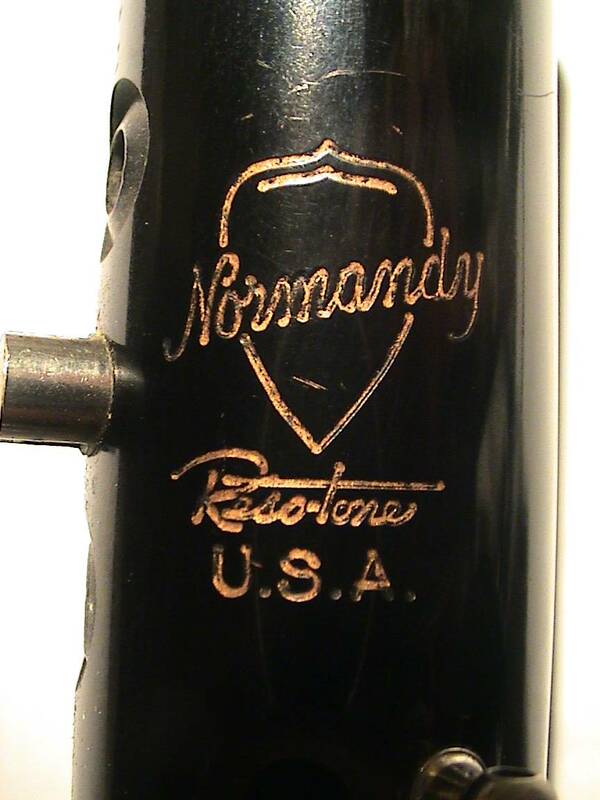 In 1960, the list price of a Normandy 14P was $149.50. 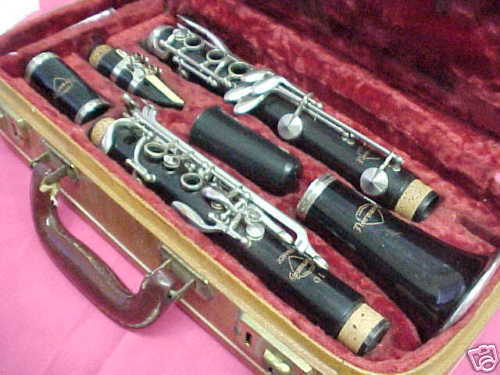 model, the Model 6 was replaced by 1965 with the Model 8. 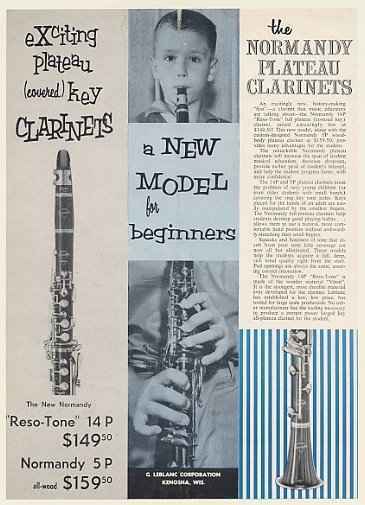 A c.1962 brochure offers the Model 6 at a list price of $162.50. 1966, the Normandy 140P had a list price of $199.50. In 1966, the list price of a Normandy 10P was $245.00. bell rather than a composite one. 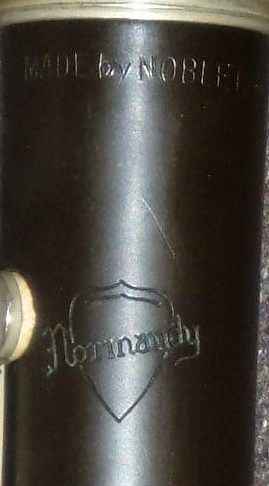 In 1966, the Normandy 8 had a list price of $175.00. 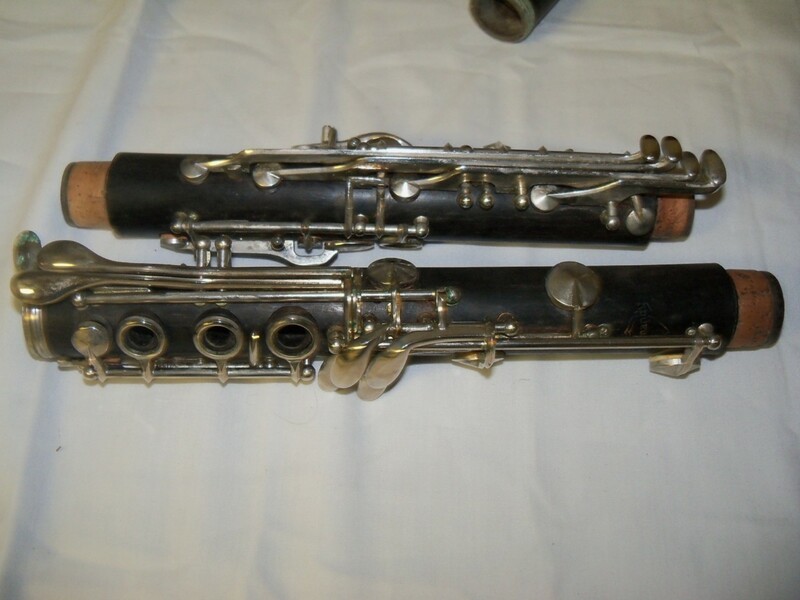 and was produced through at least 1967.
thump ring actuated the B-flat tone hole. located under the Normandy shield on the upper joint. 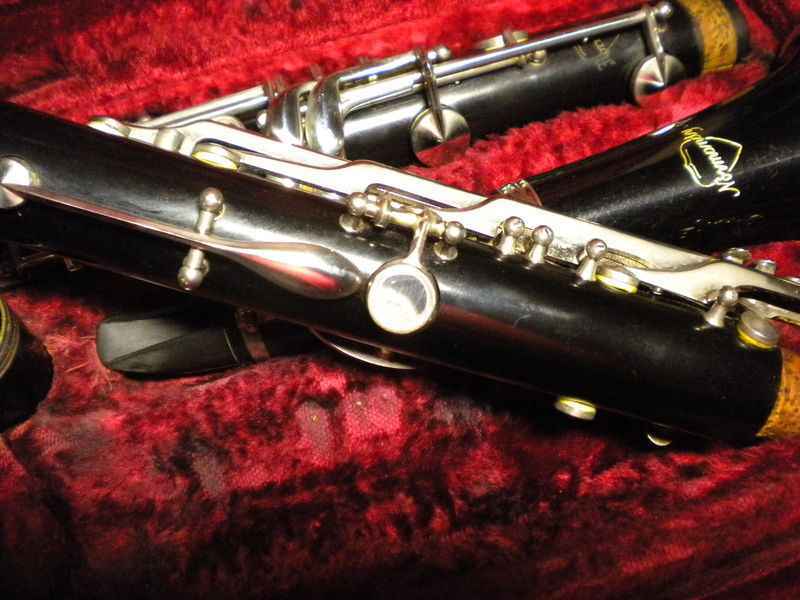 In 1966, the Normandy 208 was offered at a list price of $199.50. the number 7 within the shield below the word “Normandy”. 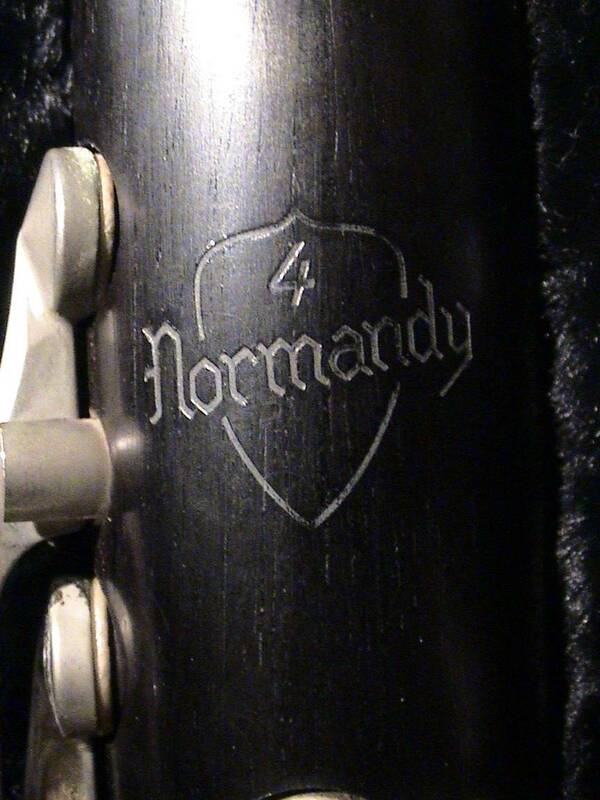 marked as a model 4 with various iterations of the Normandy logo. 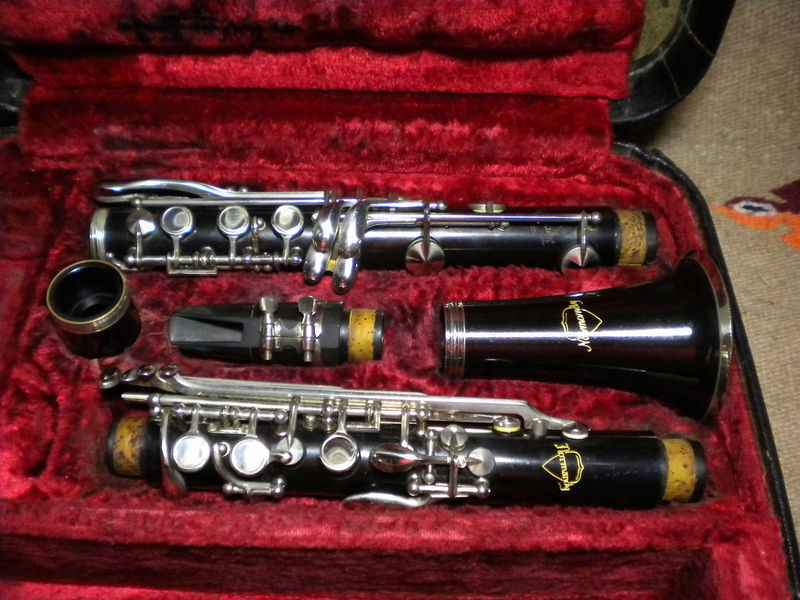 4 before being phased out with the Bliss line of student clarinets. composite bell rather than a wooden one. 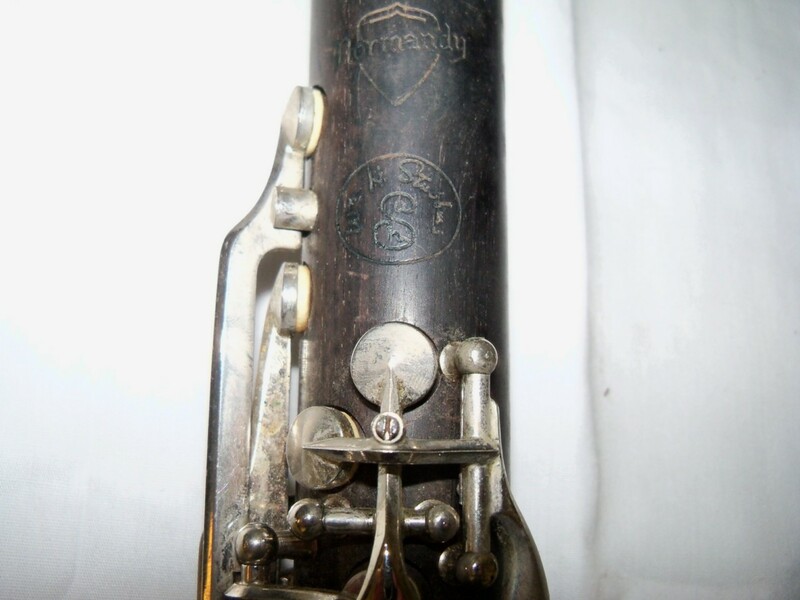 Early Normandy – SN # 1697 (approx 1940s).